Should we Always Tip in Restaurants? Home/Food, Restaurants/Should we Always Tip in Restaurants? 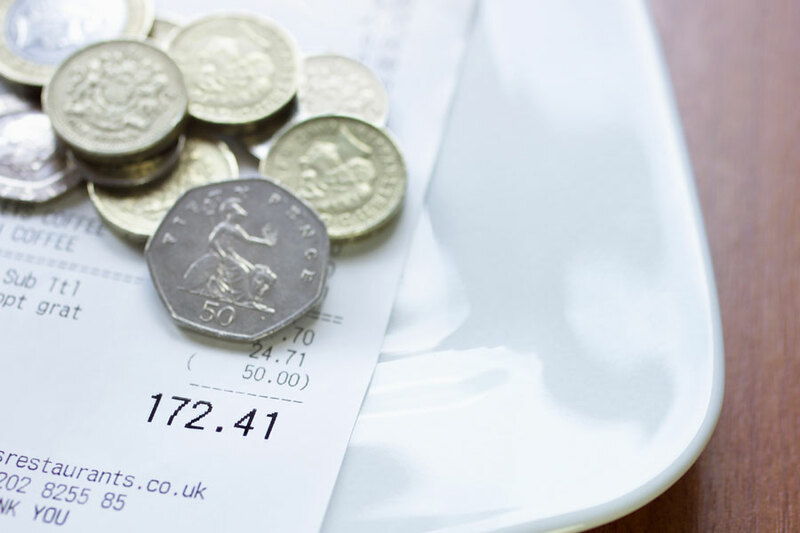 With how costly it can be to go out for a meal, is it right that we then feel obliged to add an additional 10% of the total cost to pay as a tip? We don’t always receive the best service in restaurants, so where do we draw the line on tipping? When do we Tip in Restaurants? Tips should really go to the waiters and waitresses that go above and beyond with their customer service. These waiters and waitresses are the ones that make sure your meal and experience in the restaurant meet your needs and make you feel special. At the end of a meal when you feel that you and your party have enjoyed all of the food and the overall experience of going out for a meal then this is where you may like to leave a gratuity. 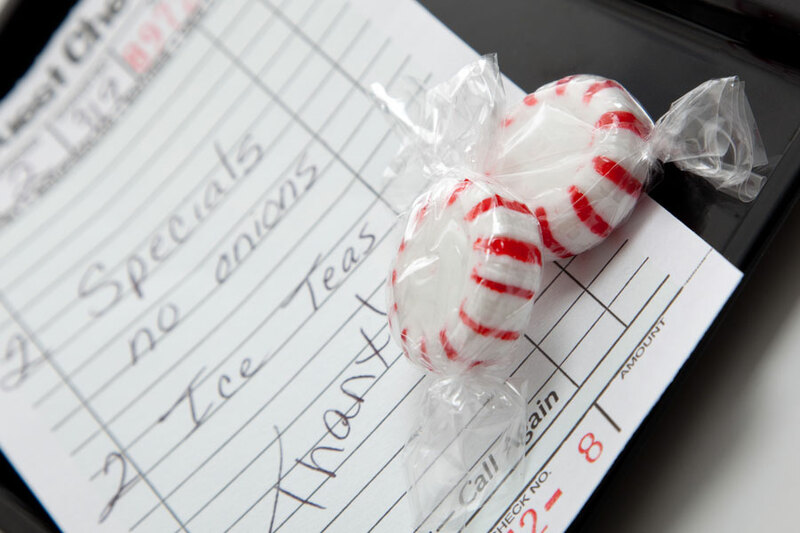 Leaving a tip will let the waiter and restaurant know that you have enjoyed your meal. If there is no tip left then the restaurant might wonder why and what could have happened for the customer not to leave a tip. There is a difference between good customer service and times where you feel you are being bothered during your meal. Really good customer service is receiving the meal as you asked for it and giving you enough time to enjoy your meal rather than making you feel rushed. The waiter or waitress should always ask how much time they would like until they order and then come back at the time they have said. If the meal goes well and the customer feels happy to leave a tip then that’s up to the customer as it should always be. Some restaurants will discreetly charge a service fee for large bookings, say for a table of six or more. Many customers do not realise this and then pay a second tip on top. It’s not always made clear to the customer that they have already paid a service fee and they walk out of the restaurant not knowing what they have done. Tipping should always be optional for the customer for times like this where the customer doesn’t even realise that it has been added on already. And why should there be a tip added on already when the customer may feel that they haven’t received a good service for that particular meal. When do we not Tip? If there is little or no service on top of having your food order taken and then your food given to you, then there shouldn’t be a tip given as they are only doing what they have to do for their job role, rather than doing more and going out of their way to make the customer happy. Bad customer service can be a number of different things, such as being bothered throughout your meal, being given the wrong food and being given your main meal before finishing your starter. Sometimes you need to talk to someone about your experience to get your point across and a lot of the time restaurants will do something for you. Another issue with tips is when you pay your bill and don’t get any change back straight away, therefore the restaurant is expecting that you have left the change as a tip. You may be getting ready to leave and the waiter or waitress says “thank you and goodbye” without giving the option of collecting your money and giving you any change. Or you will often find that they give you a lot of lose change back rather than notes, making you feel obliged to leave some of the change as a tip. The other issue is where you do or don’t tip, in terms of where and what you eat. In restaurants it is advised that you pay a 10% tip, that being if you have had a satisfactory experience. In a fast food restaurant, for instance McDonalds, you wouldn’t pay a tip. In cafes it’s not necessary that you pay a tip but there may be a tip jar for if you would like to leave a gratuity. If you have your takeaway delivered to you then the deliverer would often expect a tip, however is this right if you are paying a delivery charge in the first place? 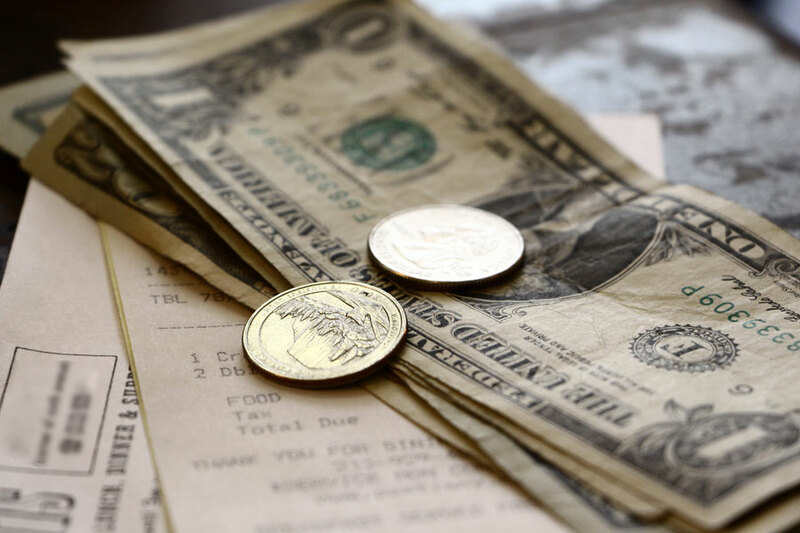 The UK can be quite lenient on tipping compared to America where it is expected that you tip almost everywhere you go, this can cause a lot of pressure on tourists visiting America. In a restaurant it is expected that you pay 10%, 15% or 20% depending on how happy you were with your service. On the receipts they work out how much each percentage is to give you a guide on what to pay as gratuity. The difference is that in America, a lot people make their money through their tips and are not paid a certain amount of money like in the UK. In the UK everyone should be paid the minimum wage by law, therefore tips are a bonus on top of their wage. At end of the day where you tip and how much you want to give is completely dependent on the customer. It should be down to whether the service was satisfactory or not. Those who receive little or no tip, shouldn’t take offense of the situation, and instead think about improving their customer service for future customers.